Shovel Knight is nigh. Mere hours from this highly anticipated indie release, Yacht Club Games has one last launch trailer to show you exactly how epic its 8-bit retro throwback really is. I've gone hands on with Shovel Knight once or twice at game shows, but even I was unprepared for how great this launch trailer is. Shovel Knight was pitched as a tribute to classic NES games, most noticeably Mega Man, but everything this trailer does shows off a game that clearly surpasses the classics it models itself after. The obstacles are far more advanced that Mega Man 9 or 10 was able to turn out, the level design is complex with intense firefights, or shovel-fights for that matter, that would have proved impossible with older technology, and the boss fights are also more than just a pattern memorization. Those clips with Black Knight look as if you are fighting another player in multiplayer, not a programmed bot. Shovel Knight is one of my most anticipated games of the year, and I am stoked that we are only hours away from playing it. My PS Vita has been put on hold, and I'm warming up my Nintendo 3DS with a playthrough of Ocarina of Time. No other way to make the time go by faster! 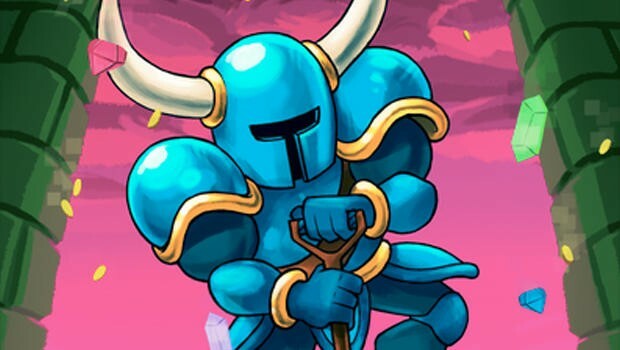 Shovel Knight will be released for the Nintendo 3DS, Wii U and PC.